A 42-year-old man has been arrested and a number of vehicles have been seized following searches in Co Limerick. The searches, which were conducted by the Criminal Assets Bureau, took place at five residential and one business premises. 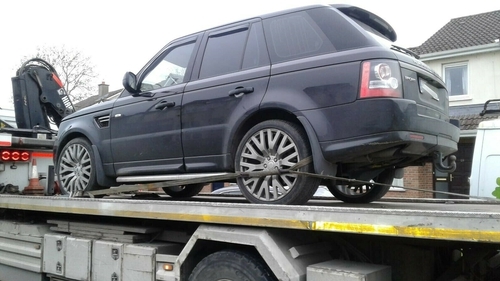 Three cars - an Audi A6, a Volkswagen and a Range Rover - were seized as well as a Harley Davidson motorcycle. Cocaine with an estimated value of €20,000 was also discovered. Documents relating to the ownership of assets, financial documentation and electronic storage devices were seized and are currently being examined by Bureau Officers. Laptop computers, mobile phone with evidence of drug dealing, tick list and weighing scales are also being examined. The arrested man was taken to Henry Street Garda Station for questioning. He has been released without charge and a file will be prepared for the Director of Public Prosecutions.